Our Altar Rosary Society will be at all of the entrances of the Church again this weekend before and after all the Masses to accept contributions for the restoration of the statue of the Blessed Mother with is outside near the Rectory. The statue is in need of repair and also needs to be placed back on the pedestal. 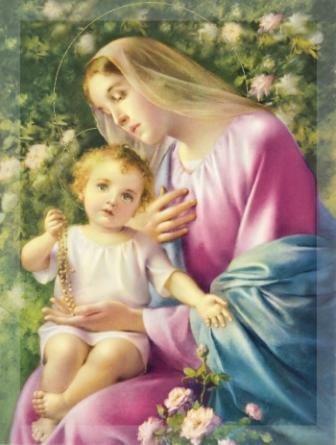 Please join us after the 7:00pm Mass on Monday, October 7 to recite the Holy Rosary on the Feast of Our Lady of the Rosary. All are welcome! An Invitation to Join Our Altar Rosary Society! The Altar Rosary Society will have a meeting on Monday, September 9th after the 7:00PM Mass in the Church Hall. All ladies interested in becoming a Rosarian are welcome. We hope to bring new life to the Society with new projects and all open, eager minds are needed and welcomed. It is hoped that we can have a productive meeting with lots of new ideas. If there are any questions please call Pat Gruca @ 259-2653. Hope to see a very large crowd.